We are a small dedicated team of professionals, aiming to help you make the most out of your next business trip. Our main goal is to find the type of accommodation to fit your needs and budget. 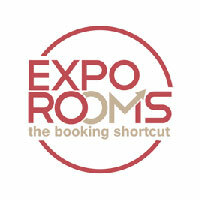 ExpoRooms began as a side project in 2013. We decided to bring together our previous professional experience in travel planning, web development and digital marketing and build a better service for you – the business traveller. Since its inception our service evolved into a contemporary fully-fledged online booking system, helping you find and book accommodation for your next trip.